Here is an old post I never finished. 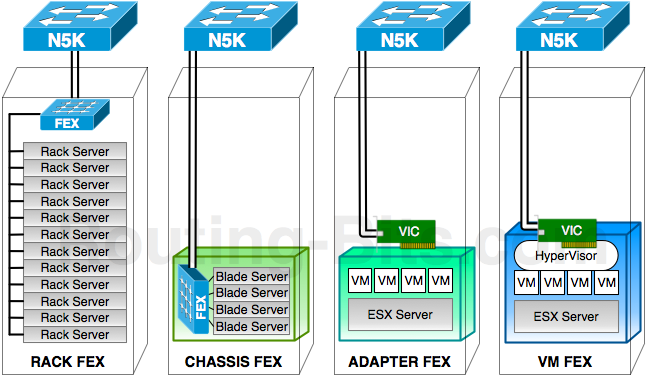 With the benefits of the Nexus 2000 and the FEX architecture (a earlier post), scalability, simplified management, flexibility, Cisco extended its use further into the servers all the way up to the virtual hosts.This allows much greater control and flexibility. After all network guys should look after all aspects of networking, server guys should look after the servers and today virtual hosts. Enter your email address to subscribe to Routing-Bits and receive notifications of new posts by email.